Dopo la presentazione della Safety Joshua Cox abbiamo scelto di svelarvi il nome del Qb per la stagione 2019: Austin Gahafer, pocket passer dal braccio molto potente e dotato di grande intelligenza. 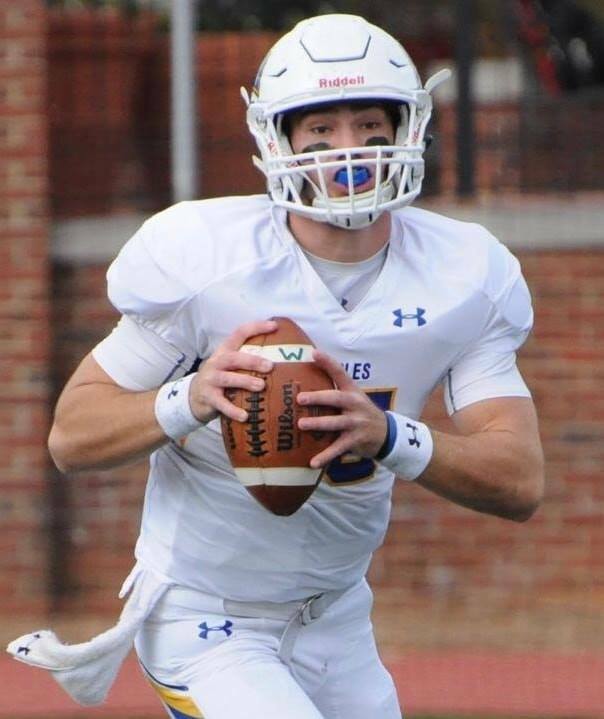 Proveniente da un team di Div1 (Morehead state university – MSU), da cui è uscito anche Phil Simms, storico Qb dei New York Giants per oltre 14 anni; Austin non è nuovo nemmeno al panorama Europeo, ha infatti recentemente vinto il titolo di campione di Europa EFL proprio contro i Seamen Milano. Fortemente motivato per questa nuova esperienza con i Giants Bolzano, lo abbiamo intervistato come al solito per voi. 1. Welcome to the fam Austin, can you please introduce yourself? AG. My name is Austin Gahafer. I’m from Louisville, Kentucky. I played college ball at Morehead State University. After that, I started my first year overseas with the Potsdam Royals in Germany. I’m very fortunate and blessed for the opportunity to continue my career in Bolzano, Italy! 2. What type of qb are you? Your biggest strenght on the fiel? AG. I’m a pocket passer quarterback. My big strengths on the field include my arm strength and accuracy. I’ve been known to be able to make any throw on the field. My decision making skills and the ablility to move the pocket are also strengths of mine. 3. What are your main goals for the incoming season? 3. Coming into the Italian football league for my first season my main goal is to win the IFL championship! 4. Who is the player that has inspired you in your career? AG. The player I’ve always looked up to in the NFL is Aaron Rodgers. His ability to make plays out of nothing is a huge quarterback trait that separates him from everyone else. I study film on him constantly and try to imitate a lot of the things he does into my game. 5. Any rituals before the game? 5. I’m not a big believer in superstitions or anything, but one thing I do before every game is pray. I’m thankful to play the game I love every chance I get. I try to glorify God’s name in everything I do on and off the field.